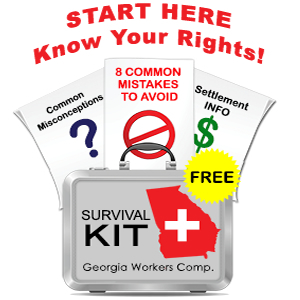 You are here: Home / Frequently Asked Questions / Car Accidents and Workers Comp. Car Accidents and Workers Comp. If you are involved in a car or truck accident while you are on the job, what do you need to know? If you were hurt in the accident, you must report your injury to your supervisor as a work injury and pursue medical treatment from the posted panel of physicians. Any lost time from work would be paid to you as a TTD (temporary total disability) benefit by the workers compensation insurance company. Remember that you are covered for your workers compensation injury and lost work even if you were at fault in the accident (assuming that you were not impaired by alcohol or drugs, or not engaged in company business). Can I Sue the Other Driver for Pain & Suffering While Receiving Workers’ Compensation Benefits from my Employer? Yes, you can pursue a claim for damages against a negligent party even if you are also pursuing a workers’ compensation claim. You can pursue a negligence claim for damages against the other driver and his/her auto liability insurance company for pain and suffering damages. I frequently represent truck drivers and others who were operating a vehicle during the course of their employment and who were injured due to the negligence of another driver. What if I was at Fault in the Car or Truck Accident? If you were at fault in the accident, you are still eligible for workers’ compensation benefits because your injury occurred while you were at work and engaged in your employer’s business. Assuming your employer has liability insurance, any negligence claim against you would be handled by your employer’s liability insurance carrier. Because two insurance systems – workers compensation, and liability – are involved when you have vehicle accident while on the job, you must be very careful when you give notice, when you speak to any insurance adjuster and when you speak to the doctors who treat you. If you need advice about how to proceed and protect all your interests, please call me as soon as you can at 770-351-0801.